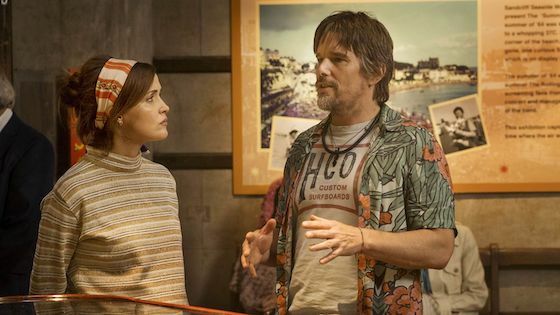 Annie (Rose Byrne) is stuck in a long-term relationship with Duncan (Chris O'Dowd) - an obsessive fan of obscure rocker Tucker Crowe (Ethan Hawke). When the acoustic demo of Tucker's hit record from 25 years ago surfaces, its release leads to a life-changing encounter with the elusive rocker himself. 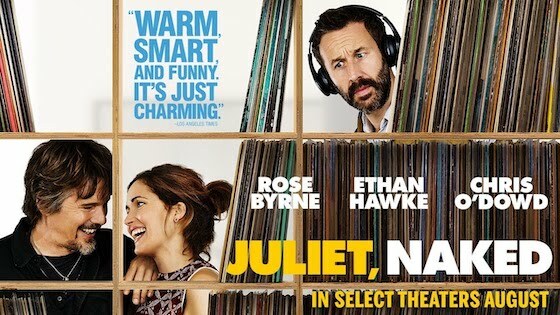 Based on the novel by Nick Hornby; Juliet, Naked is a comic account of life's second chances. "Open-hearted and sure to resonate with more than a few viewers, JULIET, NAKED roms and coms in the most charmingly honest ways." "It's got heart and laughs in equal measure, and it sings a sweet, sweet song." "There's just something special here."